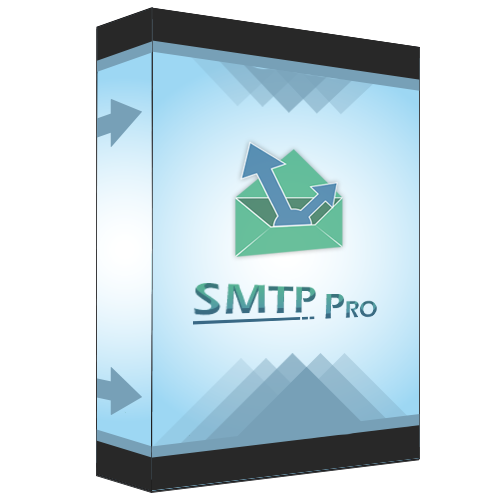 SMTP Pro is the best free, open source SMTP solution for Magento. 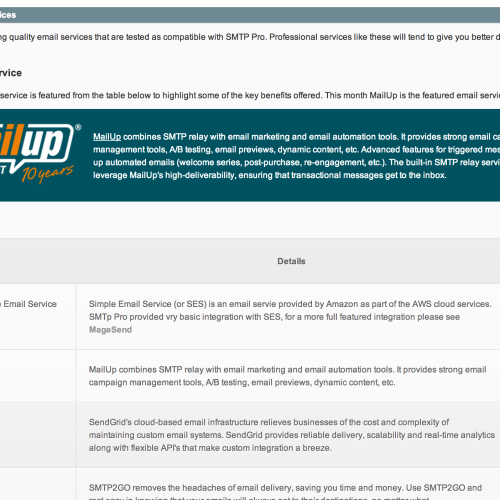 It gives merchants complete control of custom SMTP server settings for sending magento emails and includes pre-configuration for popular services such as gmail and google apps. Or, here on this site by adding to cart and checking-out for free. 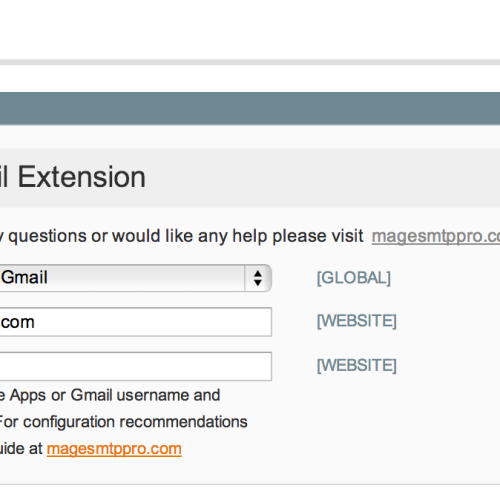 This extension provides complete control of Email settings for Magento. 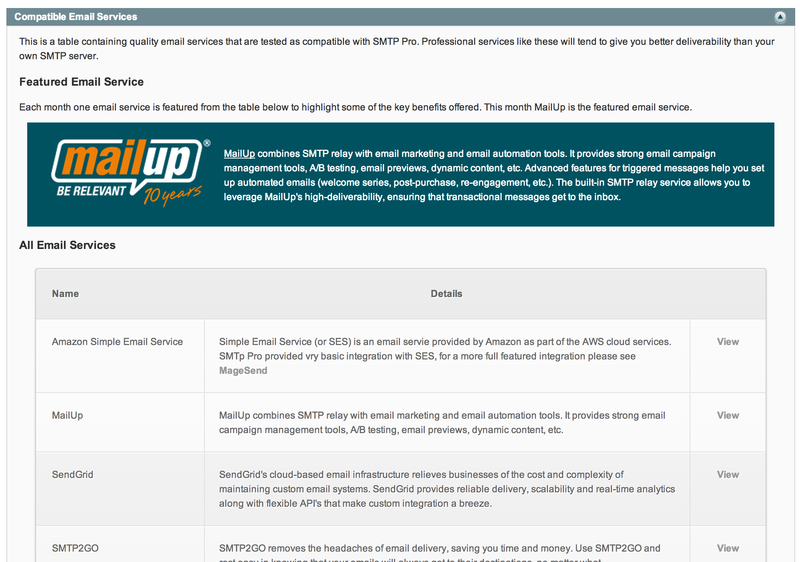 It can send with any custom SMTP server, your GMail or Google Apps account, AWS Simple Email Service, SendGrid and MailUp. 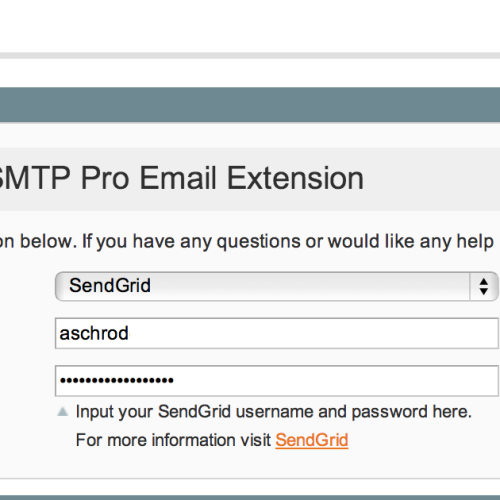 For SMTP you can specify authentication methods from None, Login, Plain or CRAM-MD5. You can choose to secure the connection with SSL or TLS, or disable secure connections completely. The host and port are configurable. 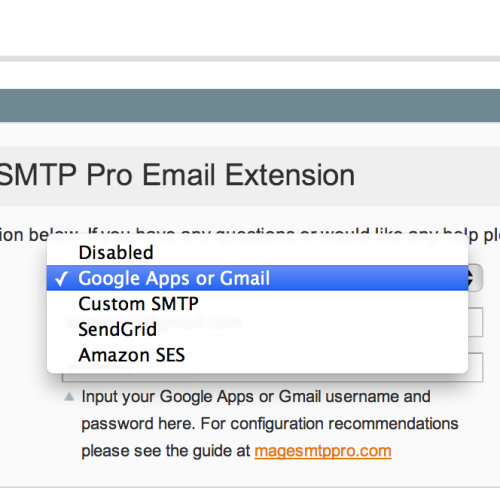 The extension includes a self test option, which lets you verify your settings are correct and it works with Magento Newsletters, two features you may not find in other, older, SMTP extensions. Please report bugs at GitHub. This is also the place for pull requests and to review/download the code. 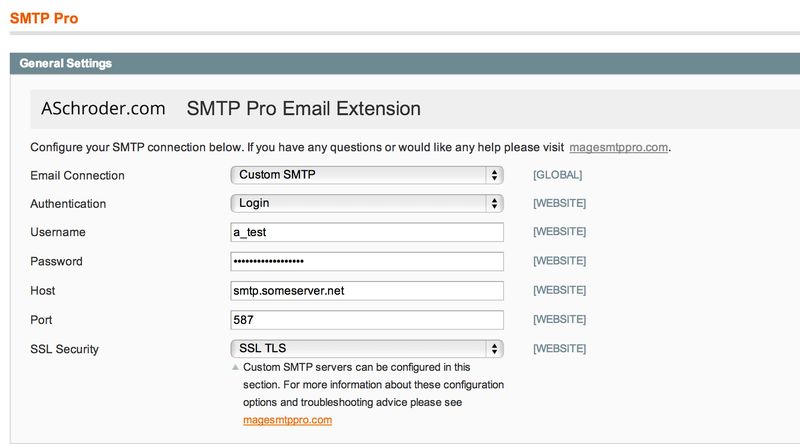 Sorry, we can’t help with SMTP servers configuration issues, there’s simply too many ways it can go wrong. 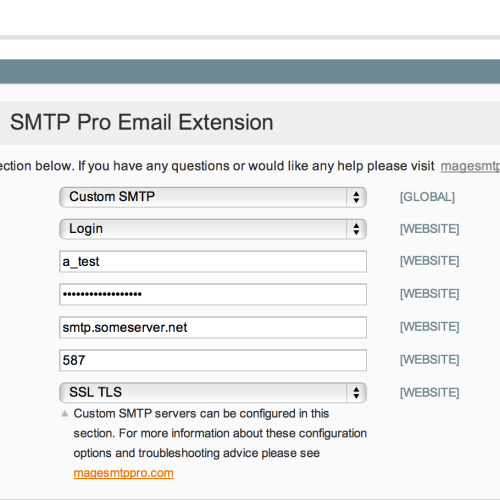 Check out MageSend, if you have the SMTP server blues. A: yes, see this post on resolving the conflict. 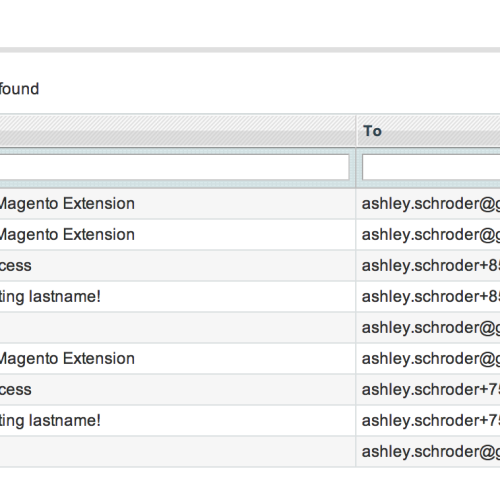 A: See installing magento extensions manually or use modman. A: Check that you have OpenSSL installed for your PHP environment. Q: Self test is failing with messages like: “can not open connection to the host, on port 587” or “Connection timed out”. 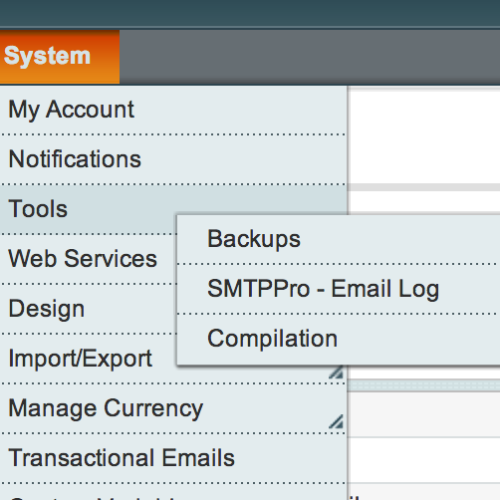 A: Check that you have the SMTP server host and port correct, if you do – then check with your webhost, many block SMTP connections due to spam. 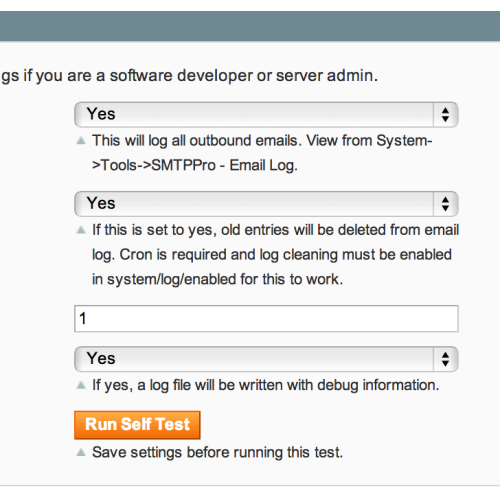 If that’s the case, there are plenty of expert Magento hosts on display at magespeedtest.com. A: It’s actually good advice to learn more here. 2) If that does work, then Google may have blocked your server IP due to too many wrong passwords. You need to log in to gmail.com _from_ that IP – in order to answer the captcha and allow the IP through again. There’s a few ways to do that – SOCKS proxy, X forward a browser, use Lynx. A: This happens sometimes, typically if it is happening it would also be happening in core Magento. There is a Pull Request here that includes a work around thanks to Rafael Kassner. 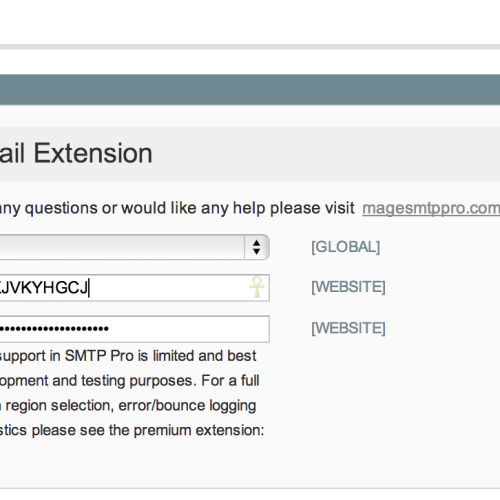 2.0.0 – initial public release of SMTP Pro v2. Works exactly as it says and was very easy to install and setup. Highly recommended! This extension is fantastic, it told me exactly what was going wrong with my emails and so I was able to fix it (opened new port). Now emails are finally going out! 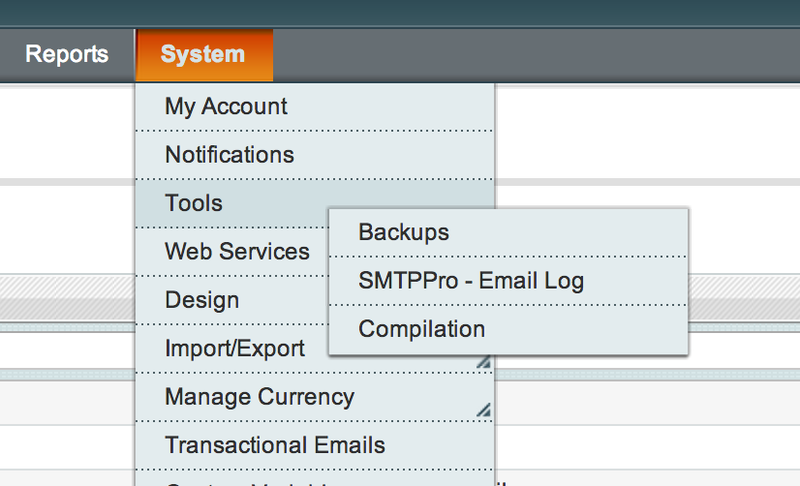 I am using Magento Community Edition v 1.8.1 and it works absolutely fine. Easy and useful extension. It works great on 1.8.1.0.
the only thing i am missing – multi store setup. i have 2 shops running (2 domains) in 1 backend and emails for both domains are sent from 1 address. 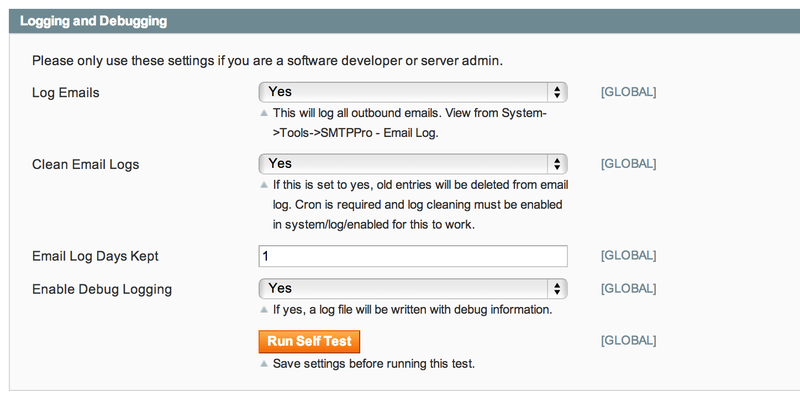 Works on Bitnami , magento 1.9 .
i did a test with admin page, but how is the class, and usage for new forms with php? Constructor, where is the docs, about example of usages, etc?